Call DRC retaining walls for stone walls, cinder block walls, block walls, brick walls, anywhere in the Dallas Fort Worth area. 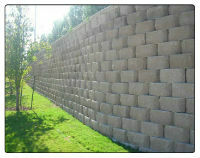 Our company has proudly been building retaining walls in the Metroplex area for over 13 years. We work closely with our clients to help them realize their ideas. We also ensure that the client has a role in the creative process of building their stone wall every step of the way. In order to keep our rock wall prices down, we have learned from experience that it is important to have partnerships with local retaining stone wall contractors. Thus, over the years we have developed partnerships with local businesses for most of the materials we use, making our materials easy to obtain and keeping our block wall costs low. 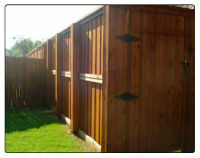 We also provide premium fence services that include affordable prices and high quality. We use the best quality lumber and metal.